Next time you’re working on a project that needs a durable wood finish, don’t grab the polyurethane. Follow [Victor Ola’s] advice and raid your grandparent’s record cabinet for some old 78 records. 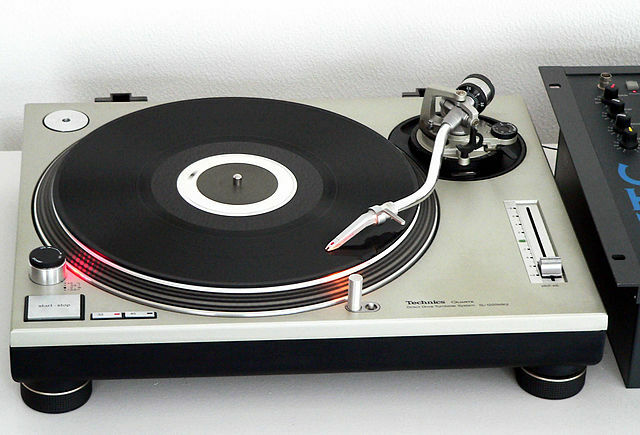 Modern records are made from vinyl. The stiff, brittle old 78’s from the 1960’s and earlier were made from shellac. Shellac is a natural material secreted by the female lac bug. It can be thought of as a natural form of plastic and was used as such for years until man-made plastics became commodity items. Older 78 RPM phonograph albums are usually made entirely from shellac. [Victor] started by taking a few old cracked records and pulverizing them with a hammer. The shellac crumbs were then poured into a mason jar along with some isopropyl alcohol. The alcohol dissolves the shellac, creating a thick goo. More alcohol will thin the slurry down to a paintable consistency. The mixture is then ready to be painted on any wood surface. Wiping off the excess will reveal the wood grain. Shellac is normally amber in color. Records are black because carbon is added to the mix. This makes the shellac stain dark and makes it a flat finish. While it would be fine to leave it this way, [Victor] added a coat of lacquer over his shellac stain to achieve a glossy finish on his upcycled gramophone. If you’re getting into woodworking, don’t worry – anyone can do it. Just make sure you have sharp tools.